Andrew Forrest, an Australian mining magnate, made the country's largest philanthropic gift, earning praises from the likes of Prime Minister Malcolm Turnbull and actor Russell Crowe. 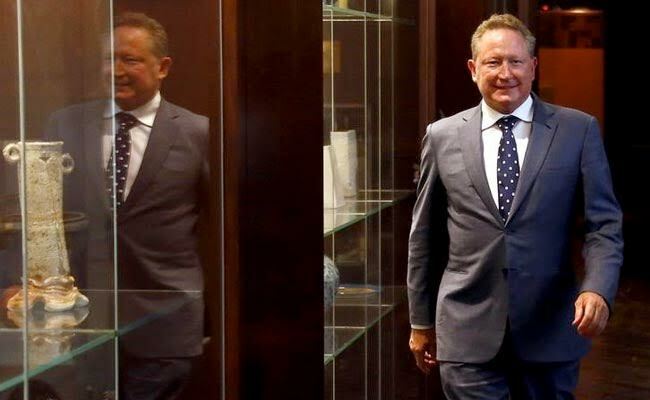 Australian mining magnate Andrew Forrest on Monday made the country's biggest philanthropic gift by a living individual, donating Australian $400 million ($298 million) to causes covering health, education and fighting modern slavery. Prime Minister Malcolm Turnbull sang the praises of the one-third owner of world No. 4 iron ore producer Fortescue Metals Group Ltd, who has faced occasional criticism about his treatment of indigenous people in the mineral-rich state of Western Australia. The donation set a new benchmark for private sector philanthropy in Australia, where educators, doctors and arts organisations - the typical beneficiaries of private sector charity - have traditionally relied on government subsidies to stay afloat. "It is a game-changer in the Australian philanthropic community," said Turnbull at an event to announce Forrest's donation, attended by government and opposition politicians, actor Russell Crowe and health researchers. He said it was a record. "This is not extracted from you by force of law, this is a matter of conviction, of your love and your commitment," Turnbull added, addressing Forrest in front of media. Forrest said he wants his donation to include Australian $75 million for cancer research, Australian $75 million for higher education, Australian $75 million for childhood education and $75 million to be directed towards fighting modern slavery. "I have been very fortunate, with my wife, Nicola, to be able to accumulate and then, as soon as we can, to commence giving it away," said Forrest, whose stake in his Sydney-listed company was worth Australian $5.6 billion at Monday's close. Crowe said he had a history of working with Forrest "which seem always connected to some gift or largess of Andrew's, or some plan to help other people". Crowe described the donation as an "incredible A$400m gift to the nation" in a post on his official Twitter account.